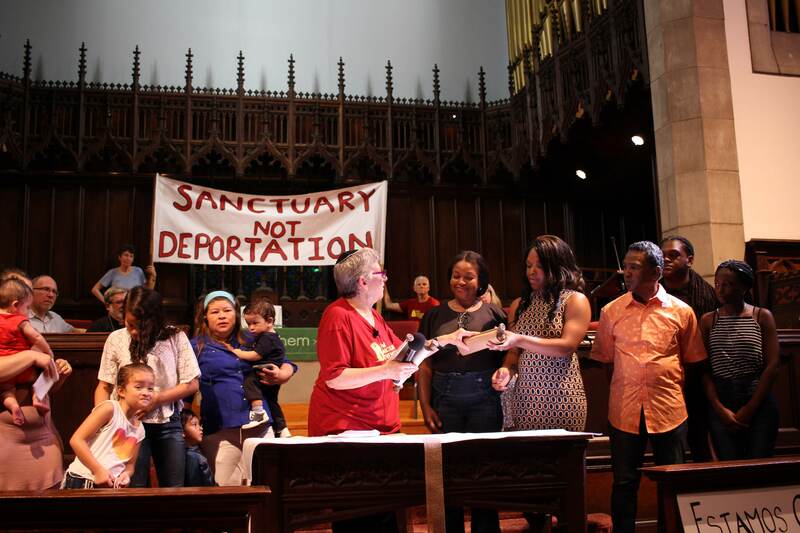 275+ Pennsylvania clergy sign letter against Obama’s raids! On January 2, 2016, the Obama Administration began a series of deportation raids targeting Central American refugee families who fled their countries in fear for their lives. The raids could come at any moment to Pennsylvania. New Sanctuary Movement of Philadelphia, an interfaith immigration justice organization, has an open sign-on letter (below) from clergy, faith leaders, and women religious in opposition to these devastating raids to demonstrate to the Administration that people of faith in our state stand united against unjust family separation and call for moral courage in the face of international refugee crises. 275+ Pennsylvania clergy have signed the letter. Contact [email protected] with questions. Clergy can sign the letter here. Catherine McConnell SSJ Sisters of St. Joseph Phila.